Posted on Thursday, February 28th, 2013 at 12:20 pm. 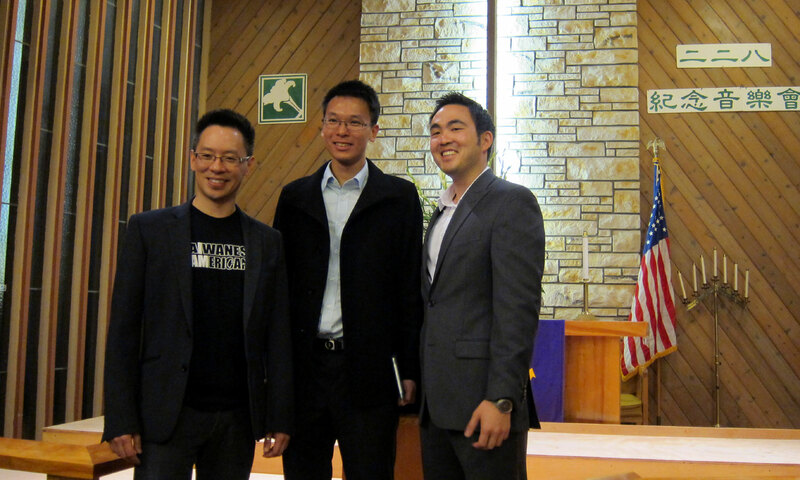 I recently listened to an inspiring speech by a young Taiwanese graduate student named Lin Fei-fan who had flown in to the San Francisco Bay area as an invited speaker for a commemorative event sponsored by the Formosan Association for Public Affairs’ Young Professional Group and the Taiwanese American Federation of Northern California. Lin is one of the principal student leaders of the Youth Alliance Against Media Monsters, a student-organized group that is raising awareness about the issue of media monopolization. There have been rising concerns about the effects of a potential monopoly on Taiwanese media and the threat to freedom of the press since a pro-China media consortium began efforts to acquire Taiwanese media outlets last year. Lin helped spearhead the current student movement of anti-media monopoly protests, which continues to grow in strength and attract Taiwanese youth across party lines. Lin’s keynote speech, which I had the privilege of giving an introduction for, along with a musical tribute concert served as a commemorative event for Peace Memorial Day in Taiwan. As I absorbed Lin’s message, I was profoundly impressed by the passion in his voice. It struck me that he never considered himself “a reformer,” but the present situation motivated him to take a stance and to rally his fellow students. His story reminded me that leaders and heroes are often produced from circumstances outside of their control, and that social activism is sometimes the necessary by-product of threatened personal values, beliefs – the core of identity. It reminded me of the stories I would hear my parents talk about regarding a past generation of souls who resisted oppression and fought for the ideals of democracy and freedom of speech. My parents, who were young immigrants to America, would quietly discuss these experiences with their close friends within the Taiwanese American community, but they wouldn’t share much detail with us kids, even though we would attend community events that clearly brought together Taiwanese activists and democracy supporters. As I reflect back on my youth, I now know why they didn’t actively encourage us to become activists too. In their own way, they wanted to protect us and shield us from this history of oppression and tragic stories. After all, it was their friends, family members, neighborhood acquaintances who were jailed or killed for speaking out against the old guard Kuomintang government and the atrocities they were responsible for during that time. Years later, as a college student, I would begin to understand this crucial piece of Taiwan’s history and its impact on our Taiwanese community and worldwide diaspora. Over time, many of my peers and I would become activists and organizers in our own Taiwanese and Asian American communities pursuing issues that were relevant to the Asian Pacific Islander community in America. The themes of justice, freedom of speech, equality–essential pillars within a democracy–resonated with us in the work we did. It was our coming-of-age, but now we understood that what our parents’ and grandparents’ generation endured and rose up against was incomparable. Fast forward to today in Taiwan where 24 year old Lin Fei-fan uses a megaphone to rally his fellow peers and students on this issue of media monopolies, one gets a sense that this might be an echo of the passion that young democracy activists in my parents’ generation felt. In fact, this is a clear reminder that Taiwan’s contemporary history has often been shaped by the voices of youth standing up for what they believed was right. Positive change and reform in Taiwan was born from the voices of protest and resistance. And, this here is Taiwanese democracy once again taking shape before our very eyes. But, how did we get here? How many of us in this 2nd and 3rd generation of Taiwanese America, or the citizens of the world for that matter, even know the details of crucial events that helped to shape Taiwan into what it is today? Shortly after 50 years of Japanese rule in Taiwan in 1895–1945 and following the end of World War II, Taiwan was placed under the administrative control of the retreating Republic of China government that lost power during the Chinese Civil War. As KMT troops relocated to Taiwan, they were initially welcomed by local inhabitants, but poor governance led to Taiwanese discontent during this postwar period. The newly appointed Governor-General, Chen Yi, assumed control of the state monopolies established by the Japanese in various industries such as tea, tobacco, sugar, mining. Homes, factories, and mines were confiscated. Economic mismanagement led to an underground black market, food shortages, and inflation. The Nationalist Chinese dominated nearly all industry, political and judicial offices, displacing the Taiwanese who previously held those positions. Corrupt and undisciplined KMT troops contributed to the breakdown of infrastructure and public services when they looted, stole, or abused their powers. On the evening of February 27, 1947, a 40 year old widow named Lin Jiang-mai was making her living by selling contraband cigarettes. Tobacco Monopoly Bureau agents appeared in her neighborhood, confiscated her illegal supply of cigarettes, and took her life savings. Though she begged for their return, one of the agents pistol-whipped Lin’s head, prompting the surrounding Taiwanese crowd to protest and chase away the agents. As they fled, one of them fired into the crowd and killed a bystander. The angry and already frustrated crowd then took its protest to the police stations. The following morning on February 28, security forces at the Governor-General’s Office fired into the growing crowd of angry protesters who were calling for the arrest and trial of the agents involved in the previous day’s shooting. News of the deaths spread across the island, and a week later, Taiwanese took over city halls, military bases, and local radio stations in protests. Shortly after, martial law would be declared by the KMT government. As spontaneous uprisings from the discontented Taiwanese spread across the island, it would soon be violently suppressed by the government and lead to mass disappearances and summary executions of numerous civilians. The number of deaths to this day is unknown, but estimates vary from 10,000 to 30,000. 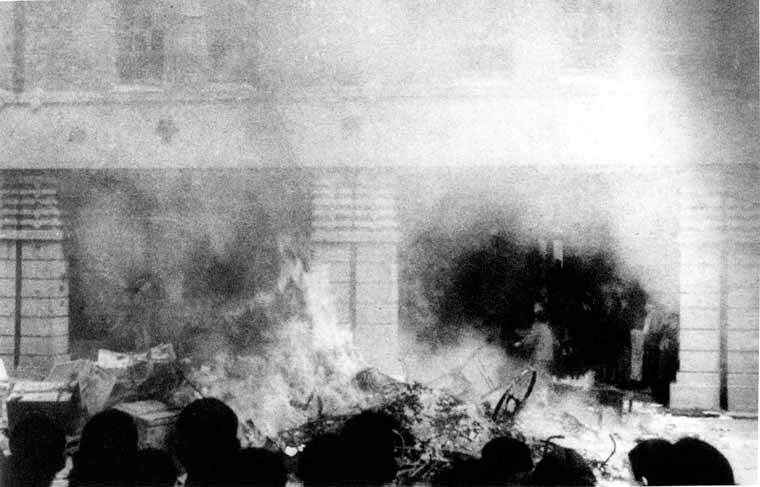 This incident marked the beginning of the Kuomintang’s White Terror period, the four decade-long martial law era in Taiwan, in which thousands more people were jailed or killed. Remembered simply as “228”, this is one of the most important events in Taiwan’s modern history and we should never forget it. Too often, we still hear of people using this event as a political rallying cry against the present-day KMT. Right or wrong, I don’t know, but I do understand where this root of blame begins. What I do know is this: Today, Taiwan is a multicultural and open society where its citizens live and work peacefully with each other. Yes, politics can often be divisive in Taiwan and people are opinionated when it comes to polarizing Blue/Green issues. However, I believe this free discourse will prove its worth one day as history plays out and continues to forge something great for this de-facto independent nation. So, forgive the sins of the past? To move forward, I say we must. In the same breath, I also say we should never forget this cornerstone of Taiwan’s path towards democratization and the tens of thousands of innocents who lost their lives in the struggle. Today, as new issues and challenges arise in Taiwan, I hope that the lessons of the past and the ideals of today’s concerned youth resonate with us as Taiwanese Americans. We should ask ourselves: How important is it that we take a stance on the issue of corporate monopolies intertwined with state power and political influence? How should we feel when the Taiwanese people feel a rising discontent? How do we support a new generation of Taiwanese youth who rally and protest so passionately around the issues of freedom of speech? How do we stand behind what is essentially a pro-democracy movement in its current form of peaceful protest to preserve press freedom? As we move forward, I have high hopes that we continue to gain a greater understanding of ourselves, our history, and how it relates to present day issues. This is what will continue to make us a strong, proud, all-inclusive Taiwanese American community. Wow, what a powerful article. I do have to say, though, when I was growing up my parents, mainly my dad since he was more involved with Taiwanese politics, brought my siblings and me to Taiwanese related gatherings which included demonstrations, summer conferences, etc..My dad didn’t say. “Oh you guys need to become involved in the Taiwanese Independent Movement,” he said it through his actions. Now I see myself attending Taiwanese summer conferences where there doesn’t seem to be a whole lot of second generation TA’s present….